Don't let its hokey title fool you: Writer-director Rusty Cundieff's horror anthology Tales from the Hood is actually a solid entry into the genre omnibus pantheon. The gore effects are nicely gruesome, the stories cleverly tackle urban societal issues from a Tales from the Crypt-esque perspective, and, aside from spotty acting, the characters are mostly engaging. It's not Creepshow, mind you, but it's worth a look. Smartly, Cundieff reached out to some of rap's hardest acts to piece together the film's slightly horrorcore soundtrack. The opening track, "Let Me at Them," is billed as a Wu-Tang Clan record, but that's misleading—it's actually an Inspectah Deck solo joint, and it's a beast. 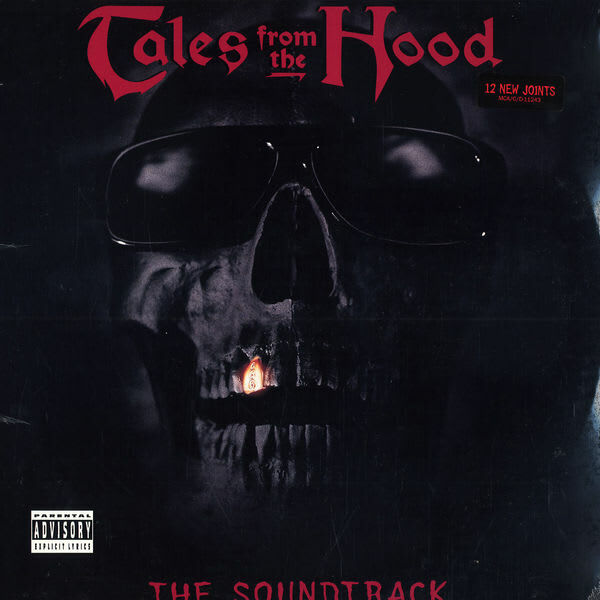 After that fittingly alarming opener, Tales from the Hood coaxes unpleasant winners from Spice 1 ("Born II Die"), Gravediggaz, sans RZA and Prince Paul ("From the Dark Side"), and Cali's not-Mobb-Deep duo Havoc & Prodeje ("The Hood Got Me Feelin' the Pain").